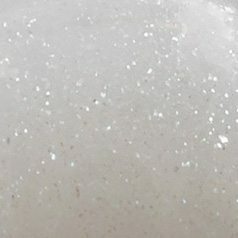 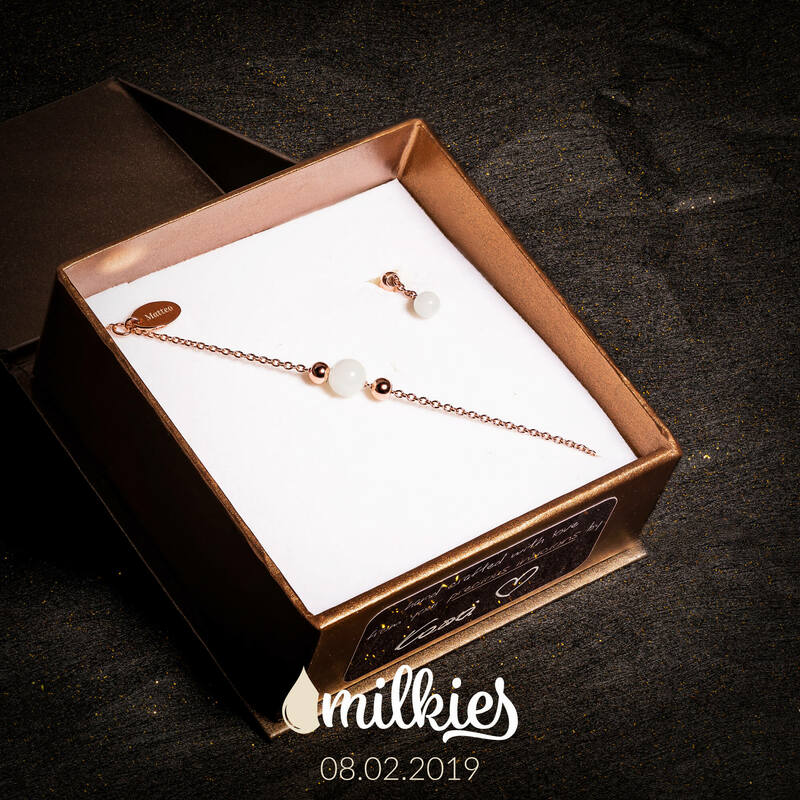 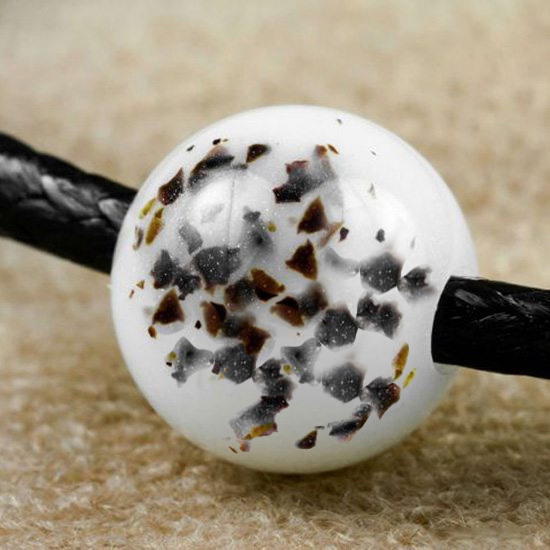 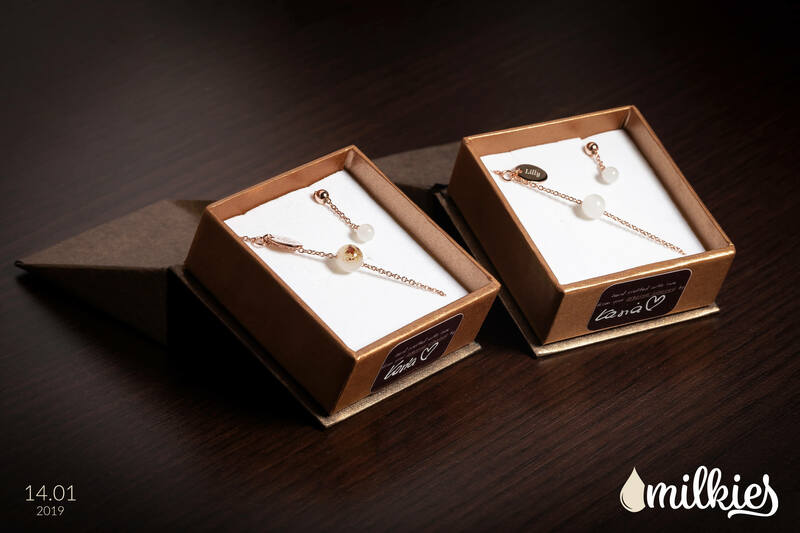 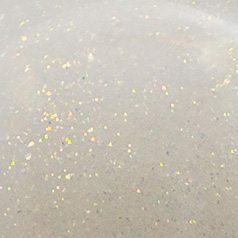 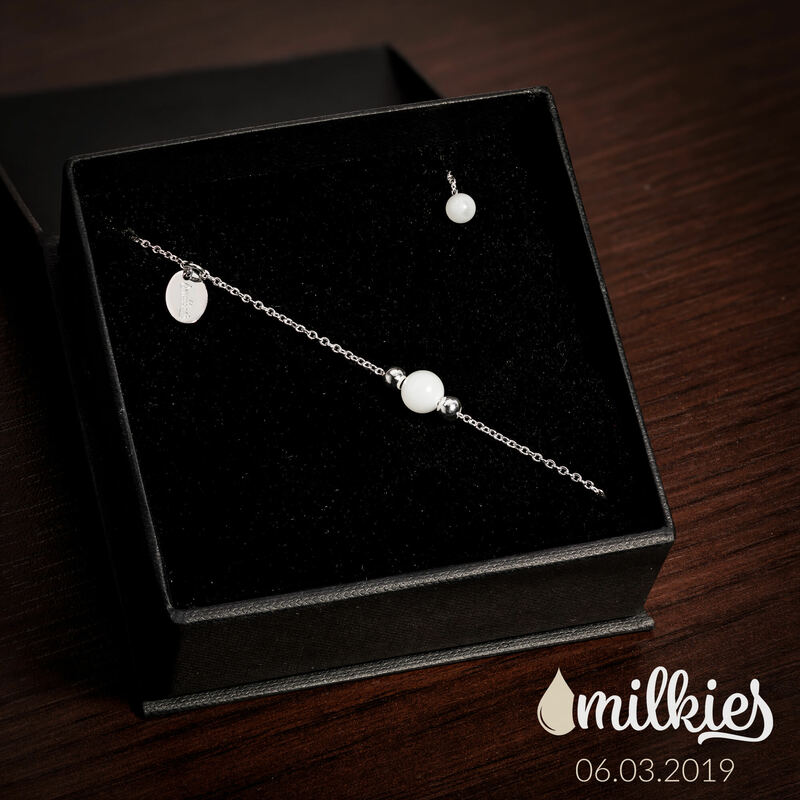 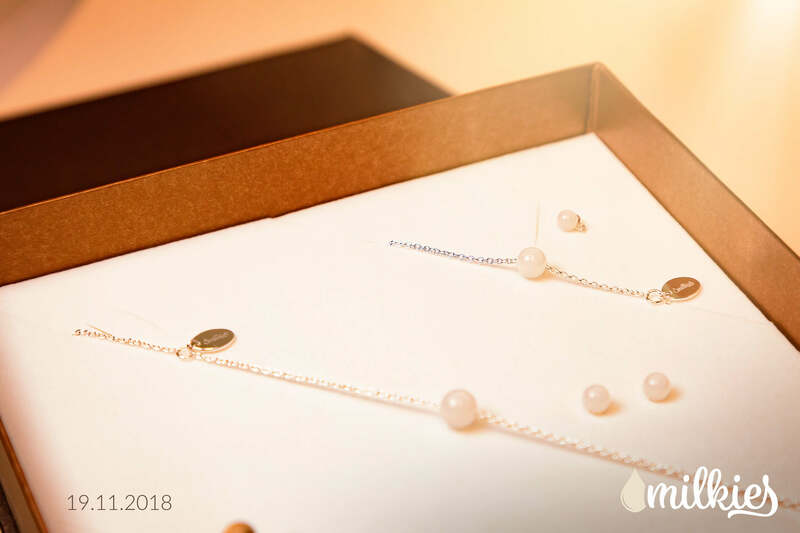 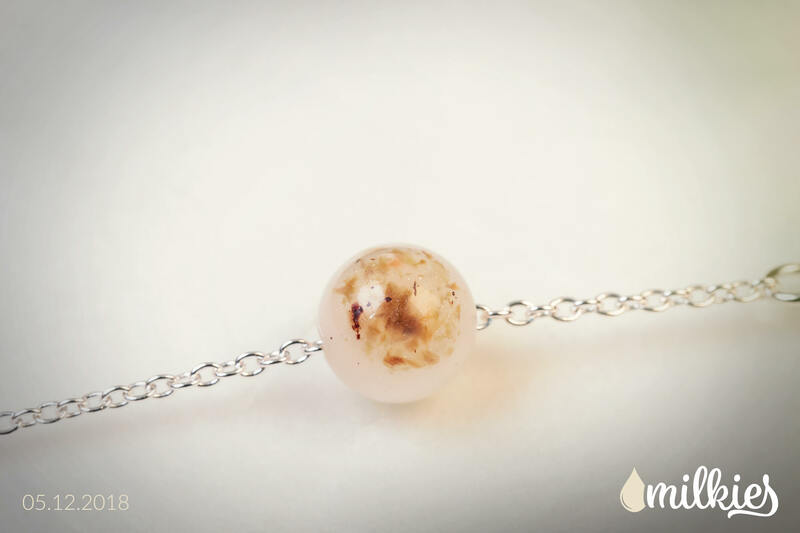 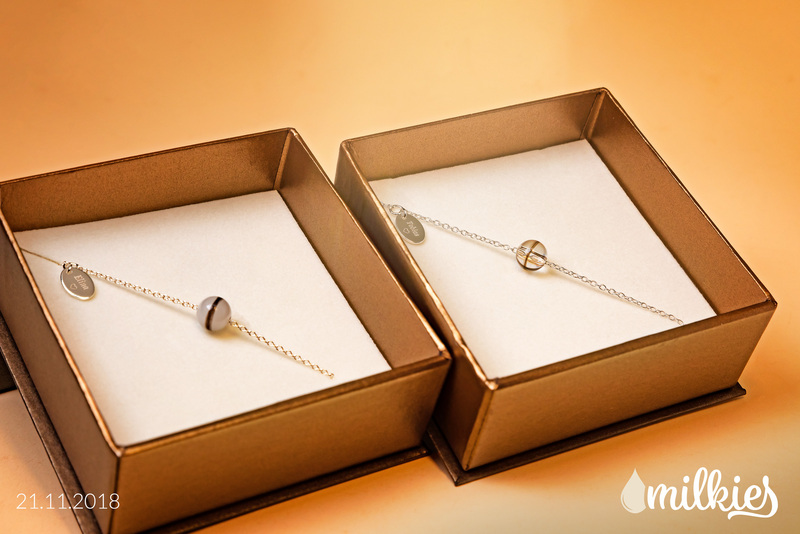 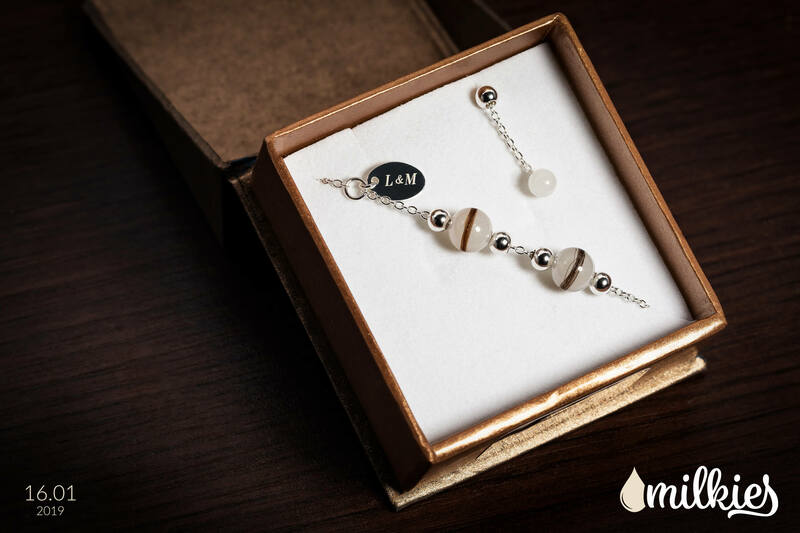 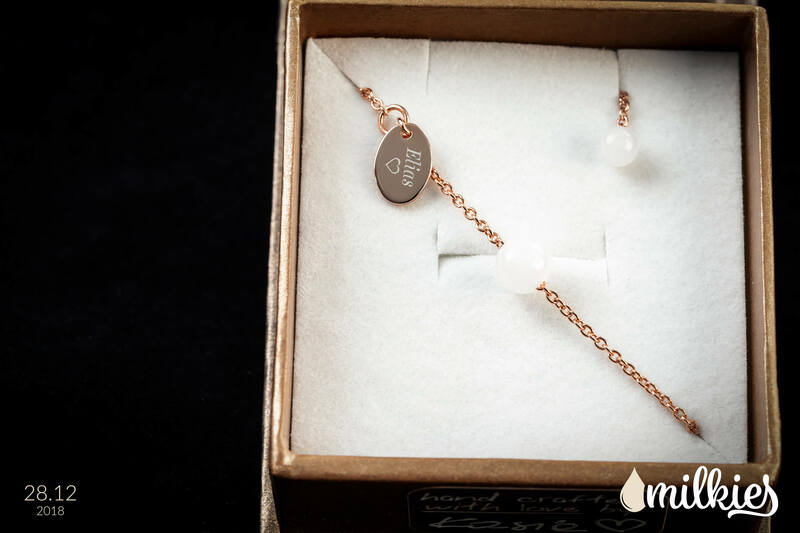 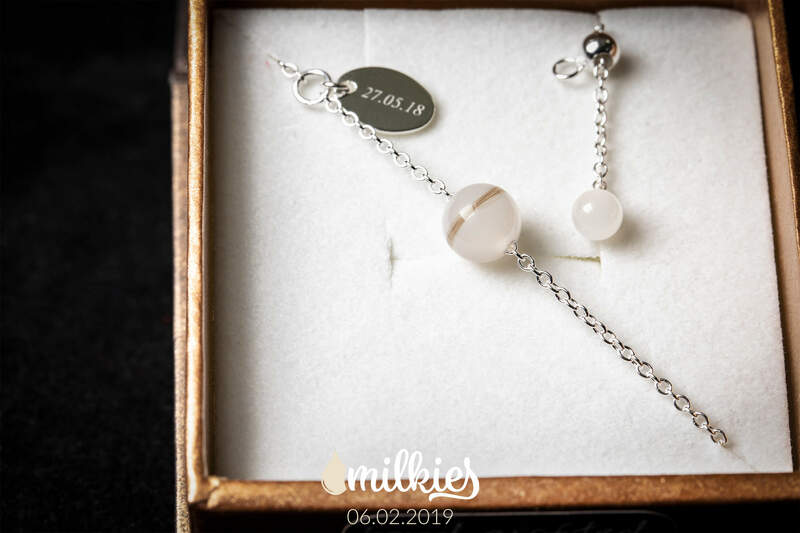 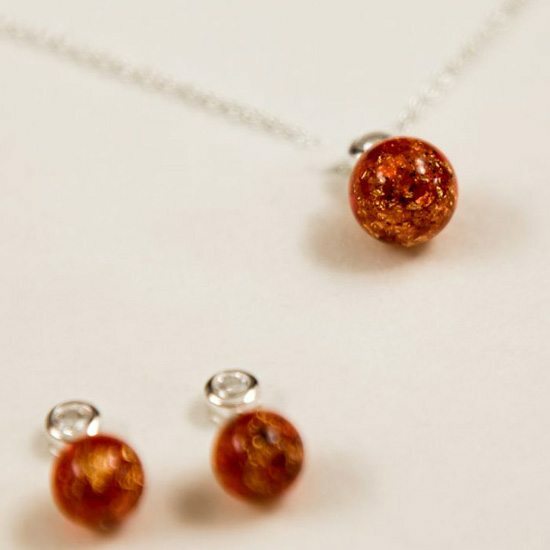 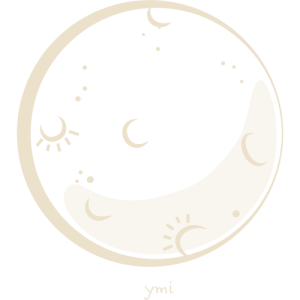 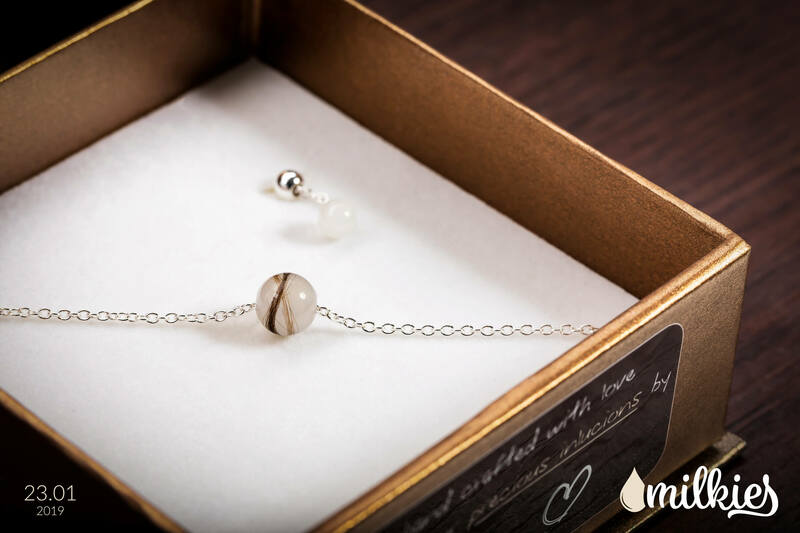 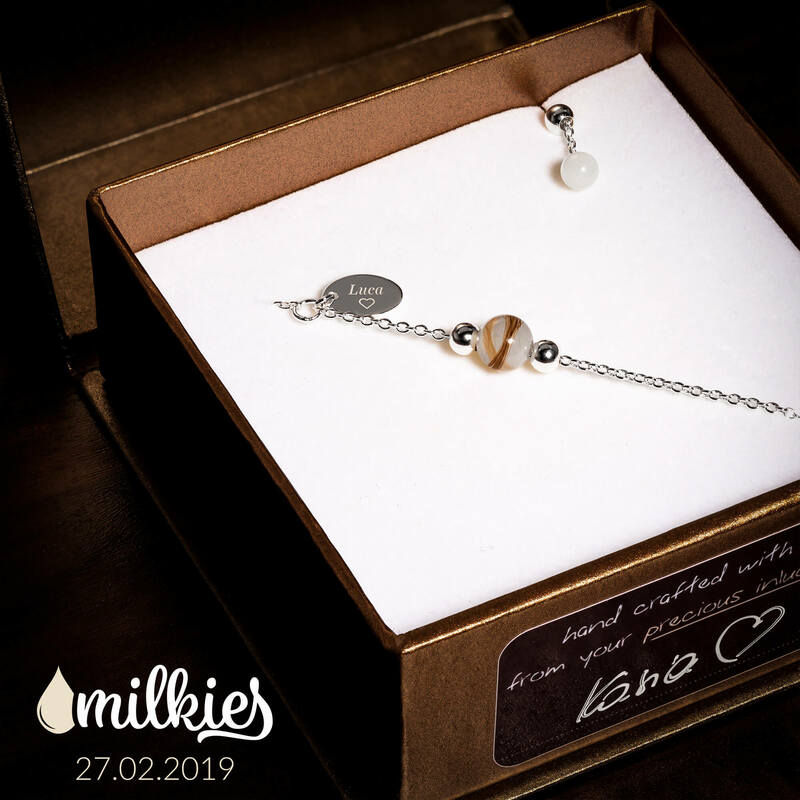 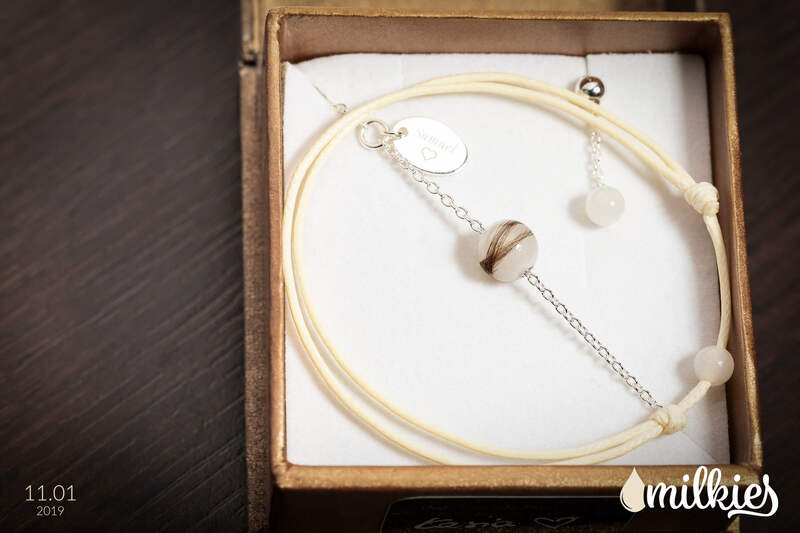 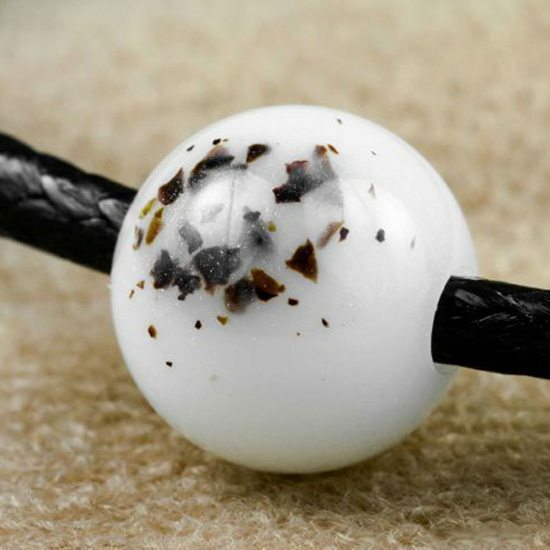 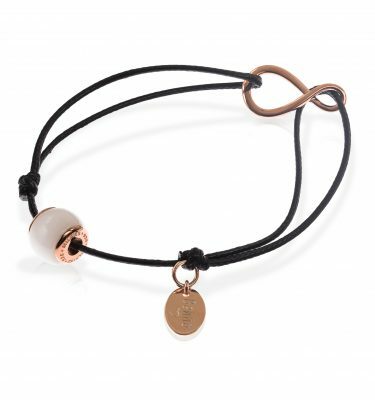 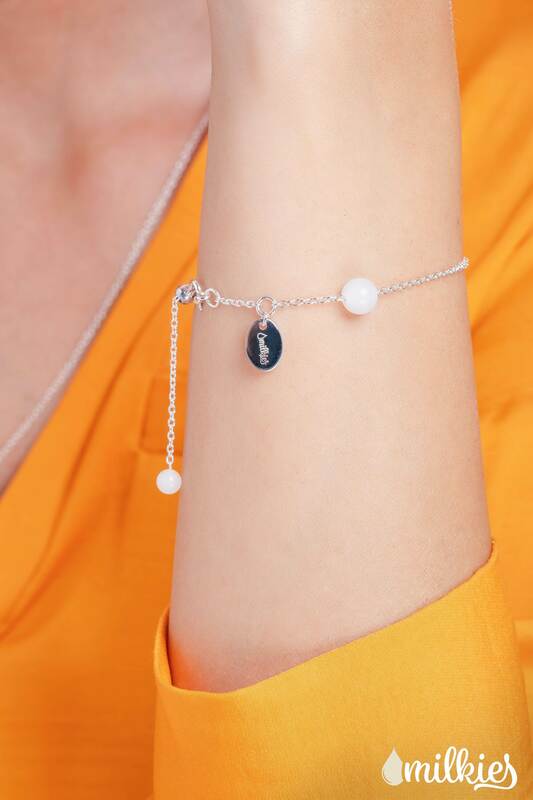 The bracelet completes the set “Over the Moon” and contains two breast milk pearls symbolising the mother and child connected by a bond of love. 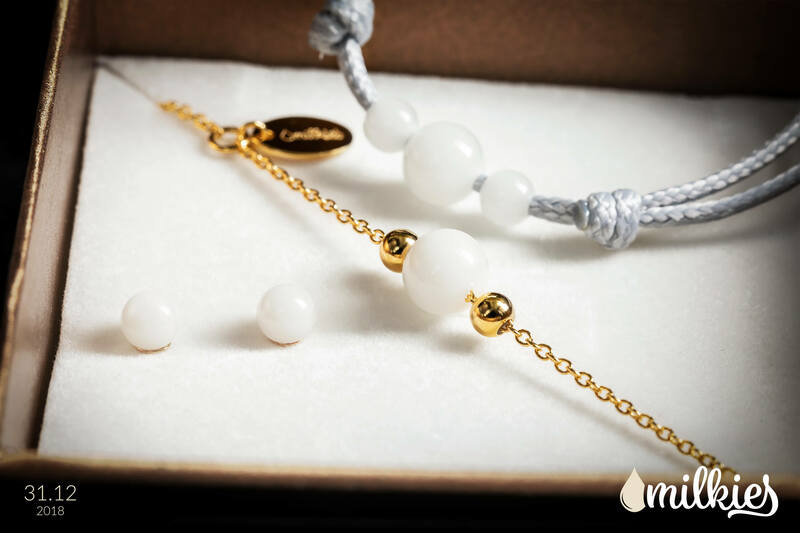 It will remind you of the most wonderful moments of your motherhood. 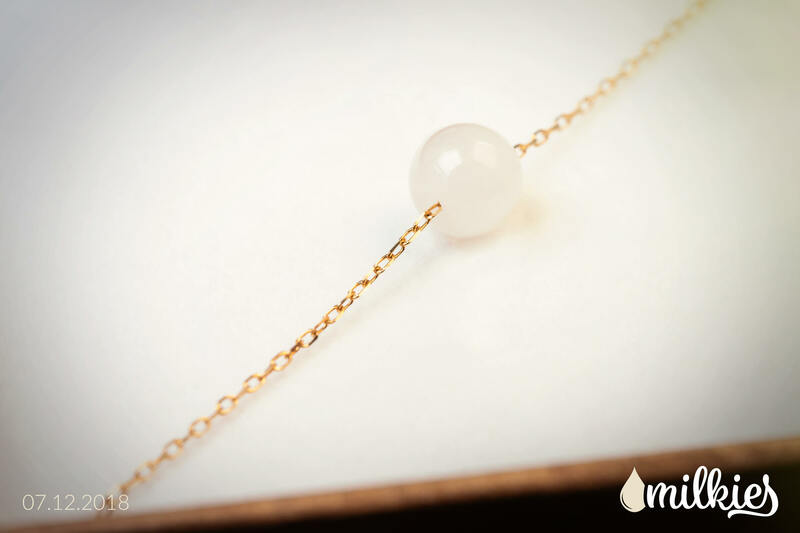 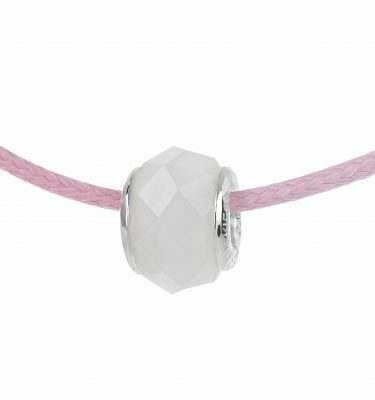 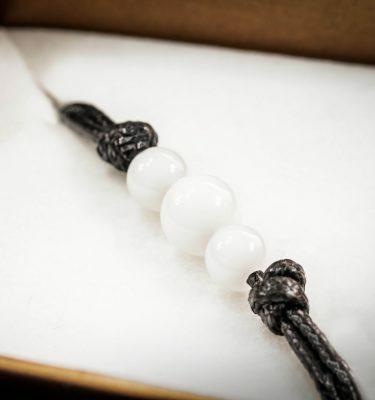 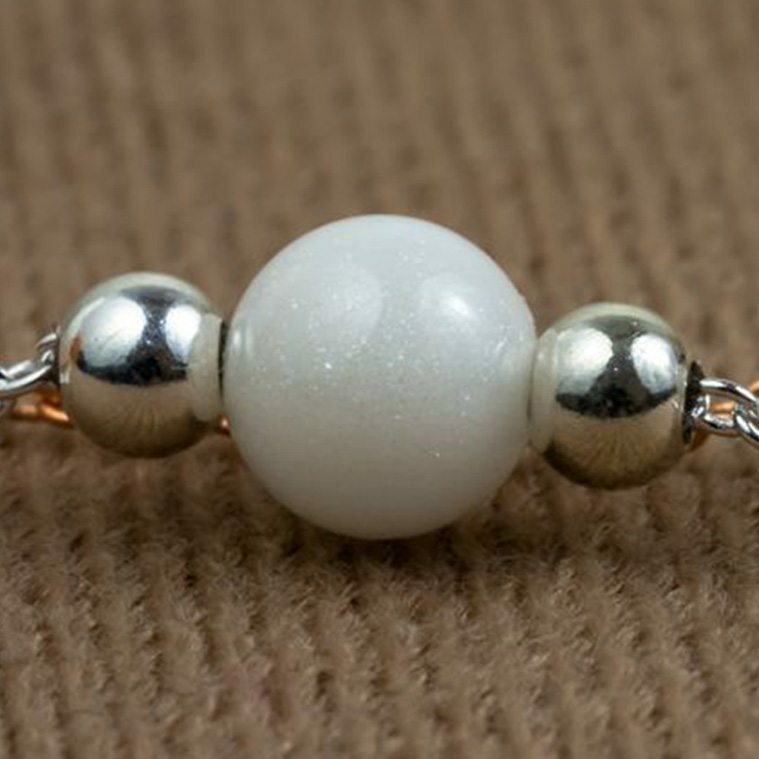 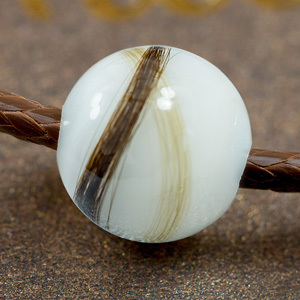 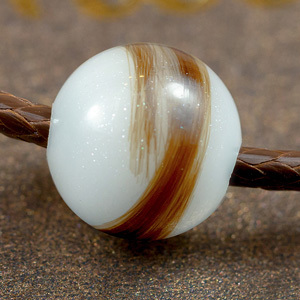 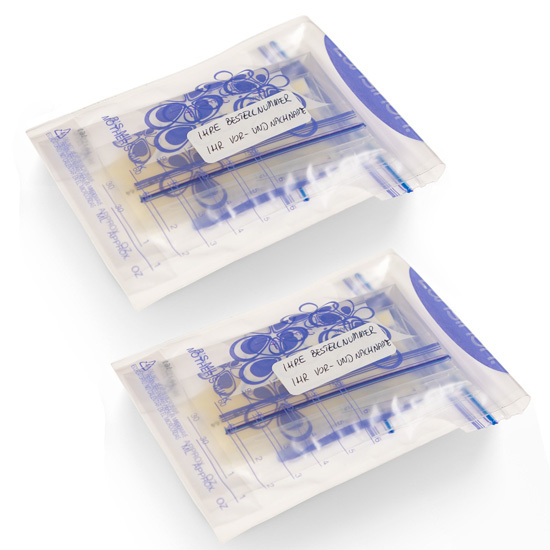 The bracelet contains two breast milk pearls and a bead regulating the bracelet’s circumference. 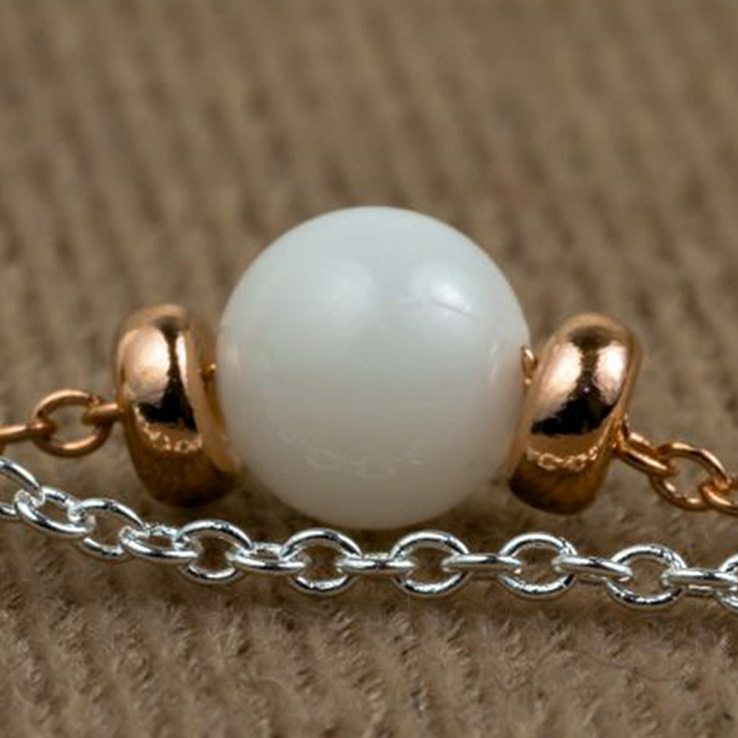 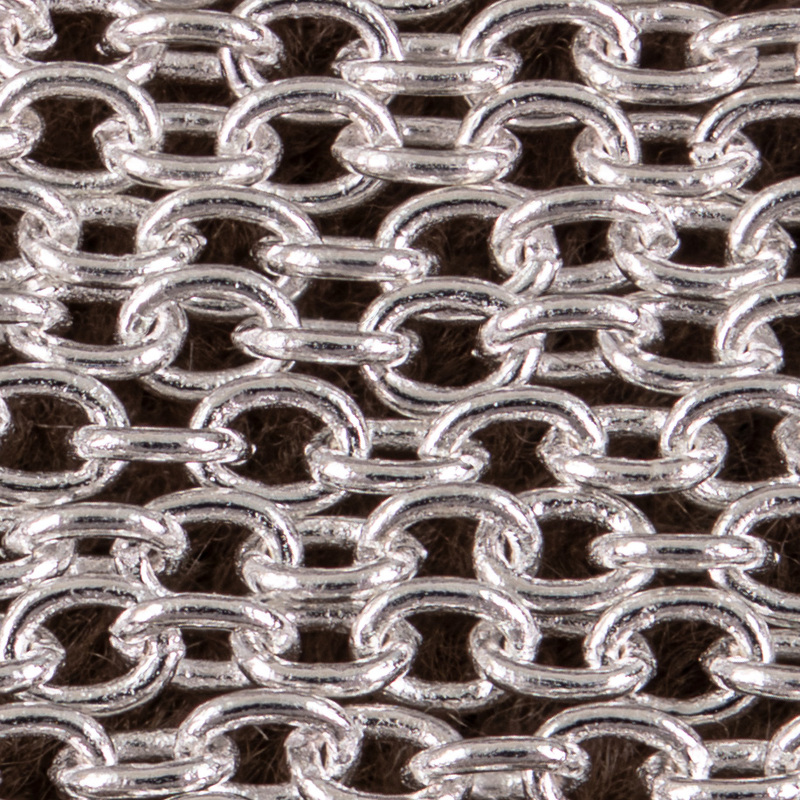 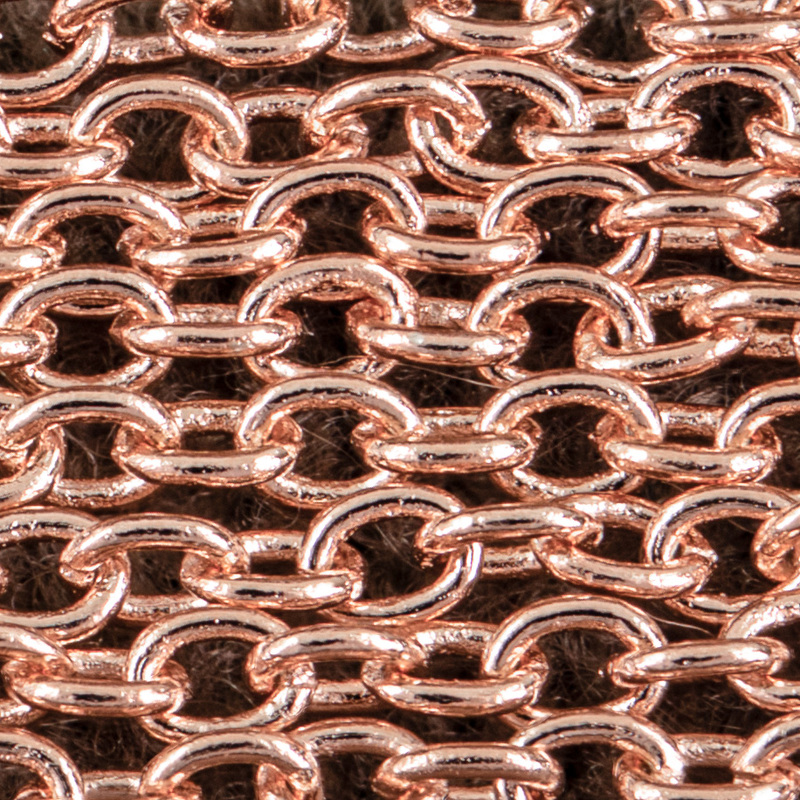 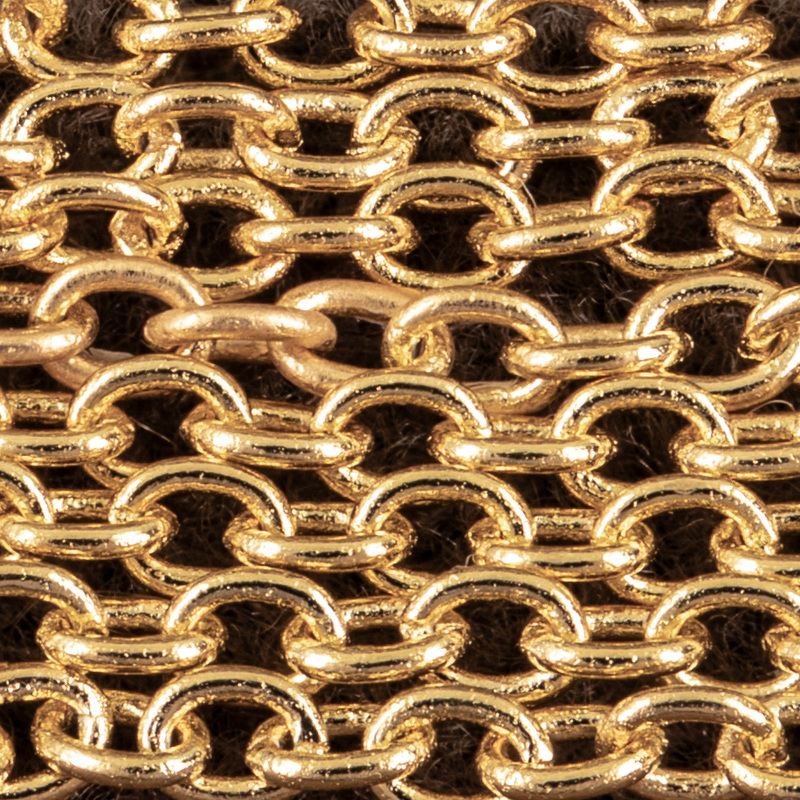  The larger pearl, threaded on a delicate chain, is 7 mm, and the smaller, 5 mm, one sits at the end of the chain. 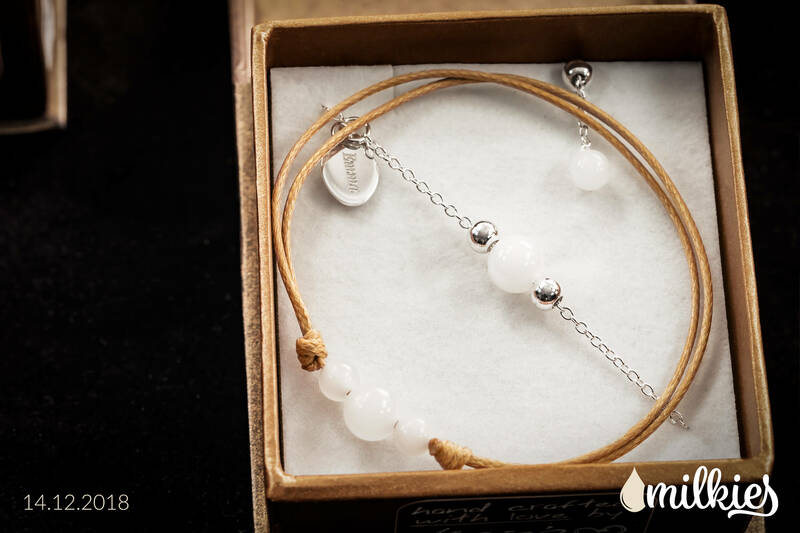 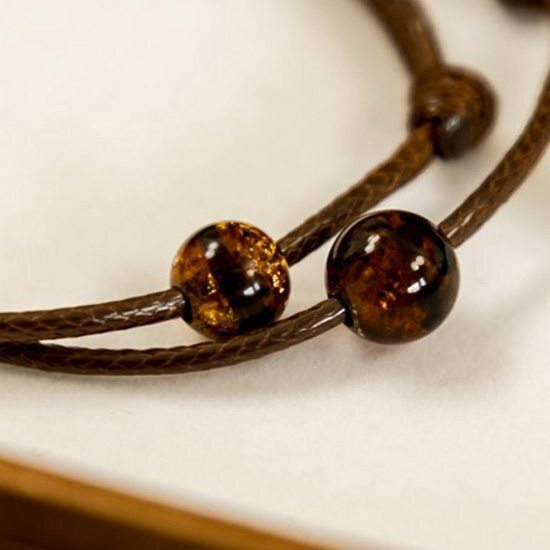 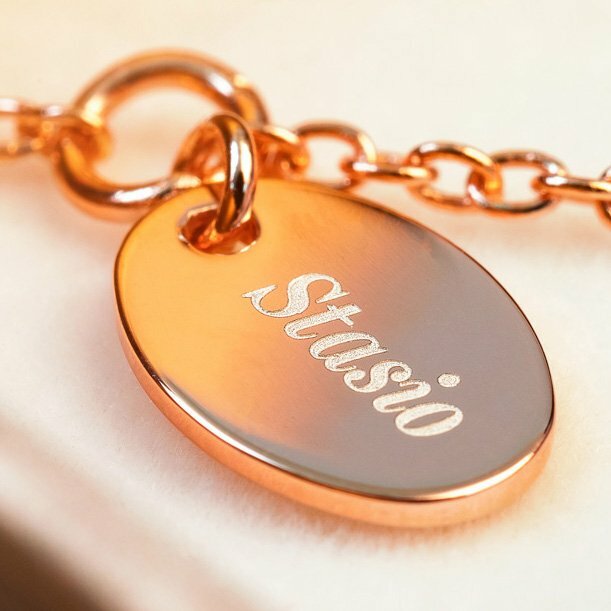 The simple form of the bracelet will remind you of the most wonderful moments. 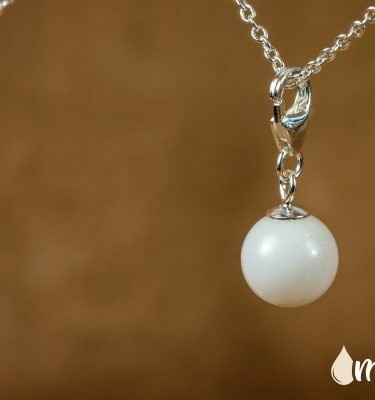 Every minute with your tiny baby cuddled up to your breast is an unforgettable time. 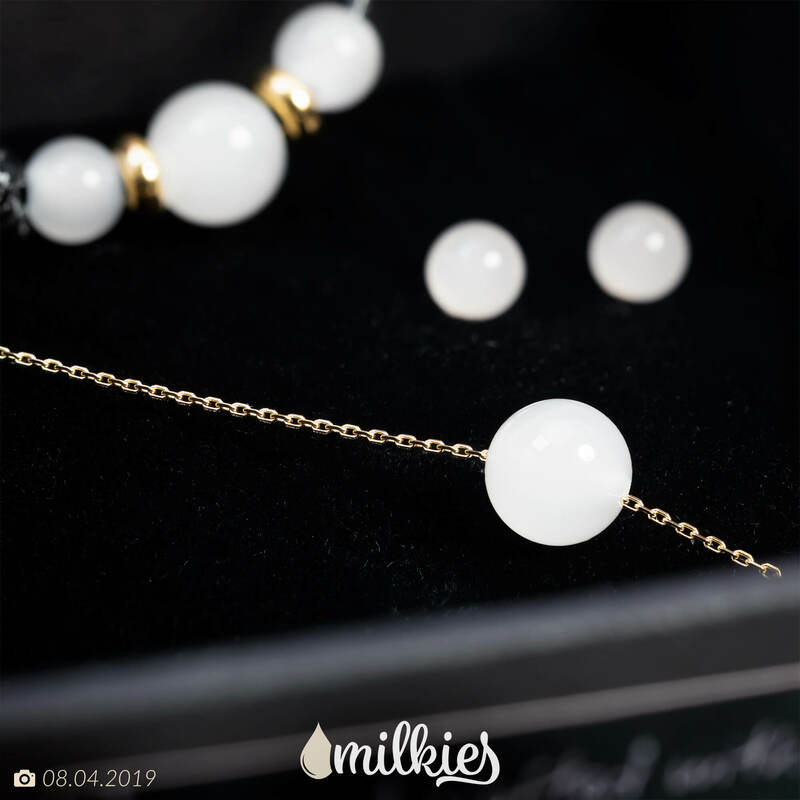 Those are times worth remembering- times of pure happiness from the beginnings of your motherhood.